SAL Sunny Lighting S9065WW Wave dimmable LED downlight in warm white 3000k. 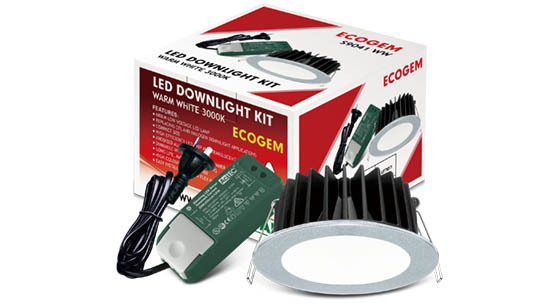 Built in dimmable driver with plug & lead (1.2m), trailing edge dimmer compatible. 9 Watt, 800 lumen output. 90 Degree light beam angle. They do not make these in satin nickel, you buy the satin nickel ring to put on.